Baklava is as famous as Turkey or Istanbul. The famous sweet is often carried back by all tourists to share the beautiful memories. From the look of it they appear to be a typical laborious , fit for bakeries or sweet shop employees to make kind of dish. 2) Rub some oil on your palms and knead the dough for 10 min or so. Make 3 parts of the dough of equal size. 3) For each part, make 4 small same size balls. They would be about the size of a lemon. 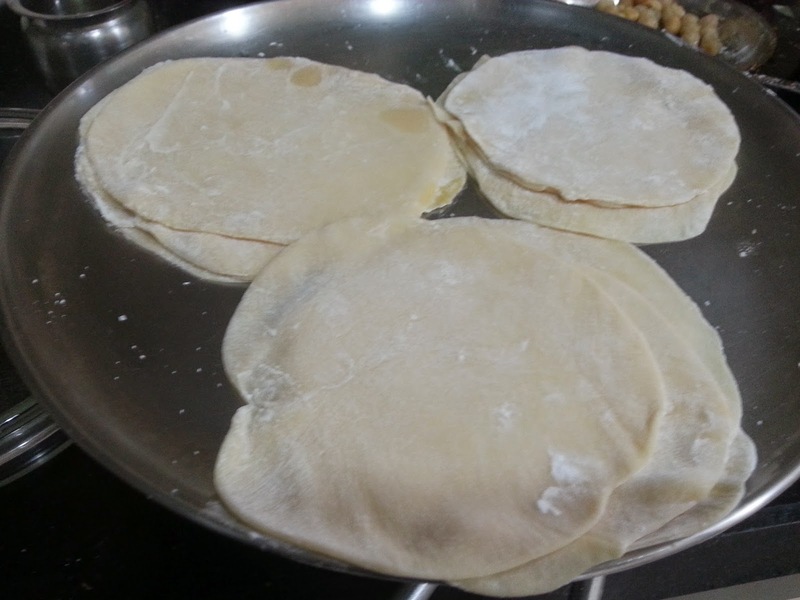 4) Roll out each small ball using lot of corn starch to make puri like rolls. Place all 4 on top of each other and sprinkle more starch between them while placing them on top of each other. Repeat this for the rest of the 2 large dough balls. 9) Now cut the set base using a sharp knife in diamond shapes. 10) Bake in a preheated oven at 180C for 35 min or until the top is slightly brown. and the leaves appear seperated. 11) When the baklava is cooked, remove from the oven and let it cool down for ONLY 10 min, so that they are slightly warm. 2) If you pour the syrup when the base is too cold it will not absorb the syrup well. Wow, you made it from scratch! You are amazing at substituting ingredients. 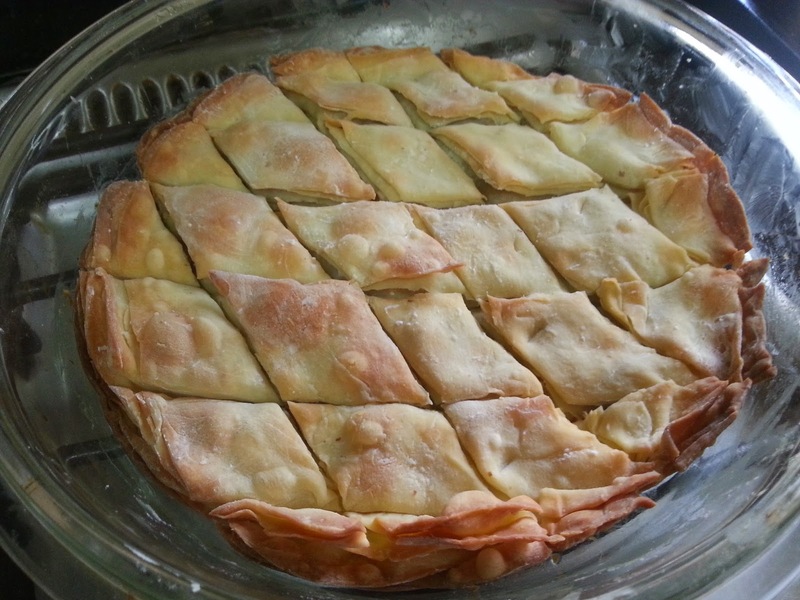 This is a nice cheaters version for those who do not have phyllo sheets handy. 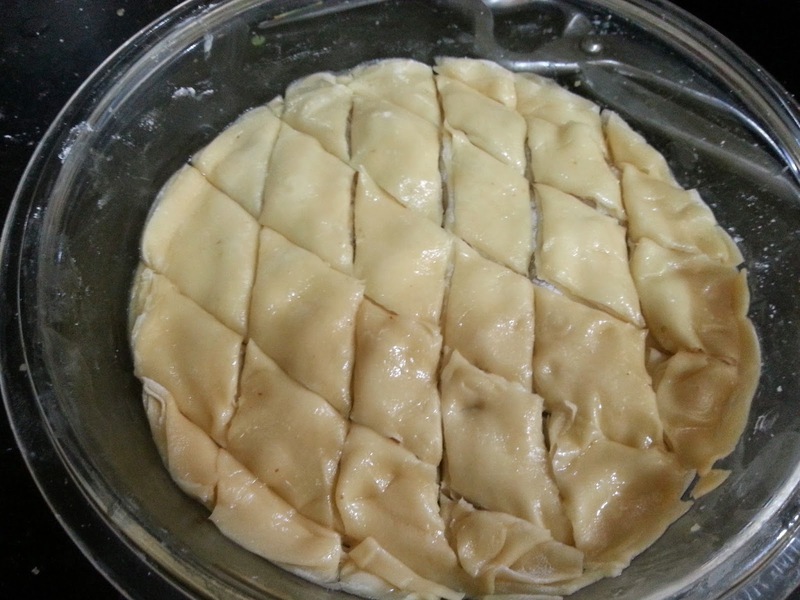 The final dish looks like the one made with phyllo sheets. Wow! 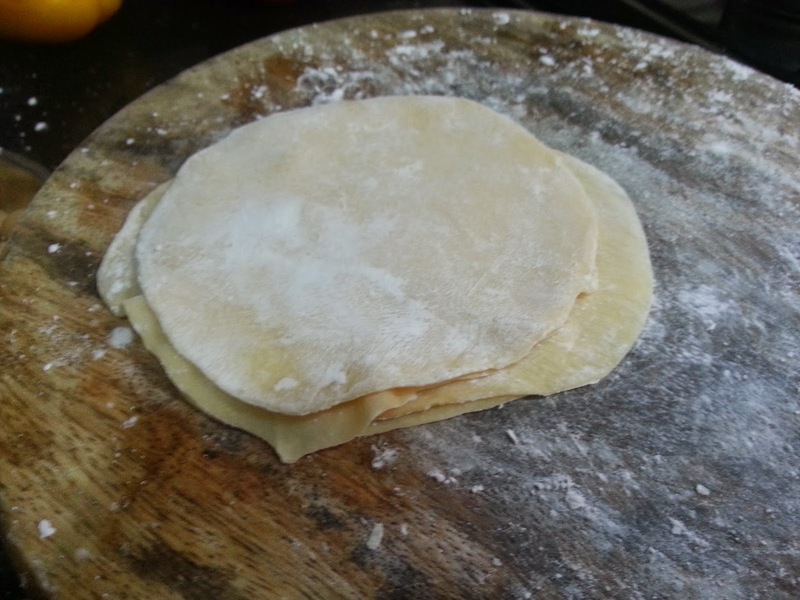 Homemade pastry dough! It looks awesome! As I have been saying I have been planning to make Baklava for the longest known time..now I am making it soon..your look so sinful! This is definitely a stunner!! Great job! !